An excerpt from a tell-all book that highlights some stunning moments from the beginning of the Trump presidency was released Wednesday, and we’re lovin’ it. 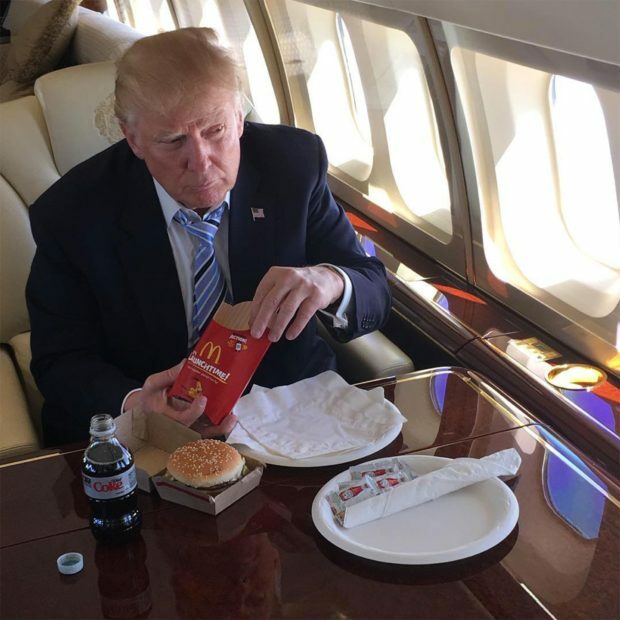 The book claims that Trump has been a McDonald’s fan because the food is pre-prepared, and Trump has long been worried about being poisoned. Pre-prepared meals would be more difficult to poison and that’s why Donald Trump eats McDonald’s. The book also alleges that Trump regularly has burgers in his room while watching cable news. 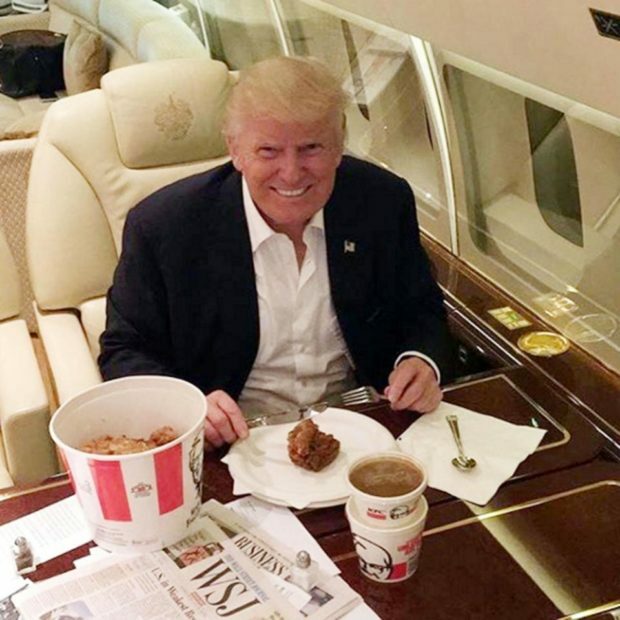 Trump also tweeted the following photo of himself eating KFC on the campaign trail, so he spreads the love around.